Ideas The Picture Viewer • The pictures can be used as a starting point for good mathematical conversations: what numbers can you see, what things can you count, are there more of these, fewer of those, what shapes and colours are there, where is there another shape like this one, ...? • What do you think is happening? What could be happening? What might the problem be? Who or what might have caused it? How might it be put right? What might happen next? • Draw a picture inspired by or like the picture on screen. ‘Act out’ the picture by making up sounds or speeches to go with it. Recreate the picture (or something like it) with your toys. The Picture Changer: • Explore the different ways of changing the picture. How are they different? • What is the strangest picture you can make? • When you use the vertical split screen to reflect one half of a picture, talk about the way the things in the reflection are ‘the other way round’. • Play with real pictures – what can you do with them? What can you do with a picture and a mirror? • What could be happening in the new picture you have created? What might happen next? • Use paints to make reflected pictures or designs by painting in one half of the paper and then folding the paper over to make a reflected print on the other half. • Look for real life reflections in ponds, puddles, windows, mirrors and any other shiny surfaces. 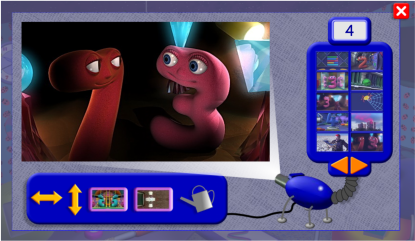 The Picture Viewer On the screen The Picture Viewer allows the child to select and view images from Numberjacks programmes. 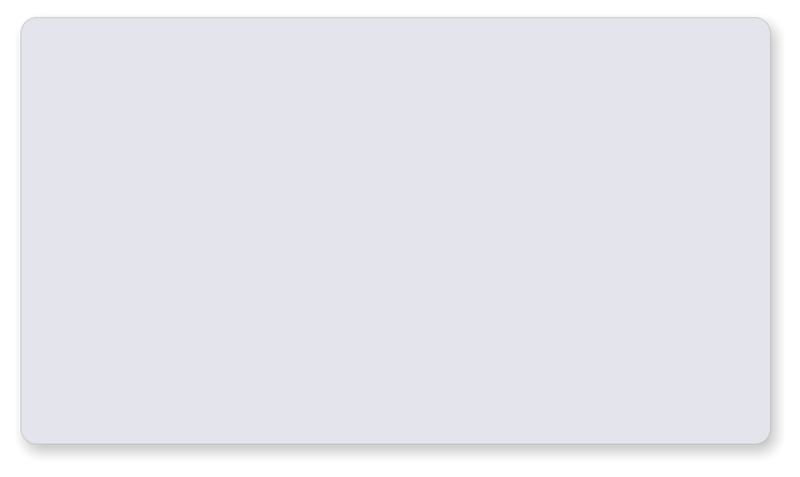 The Picture Viewer controls are in the panel to the right of the picture and the Picture Changer controls are in the panel below the picture. 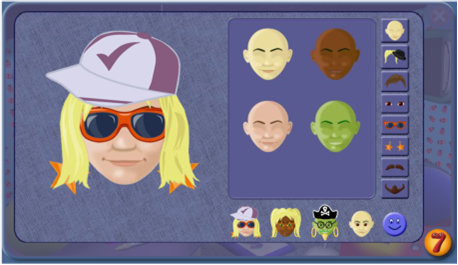 The Picture Changer controls allow children to alter the pictures in a number of ways that help them explore aspects of orientation and symmetry. The Picture Viewer controls The number shows which set of pictures is available. The thumbnails allow selection of a different picture. The orange arrows move between sets of pictures. The Picture Changer controls The double-headed vertical arrow flips the picture vertically. The double-headed horizontal arrow flips the picture horizontally. The vertical split screen leads to controls that allow the left or right half of the screen to be mirrored in the other half. The horizontal split screen leads to controls that allow the top or bottom half of the screen to be mirrored in the other half. The watering can turns the mouse into a ‘watering can’ that distorts the image when moved over the picture.